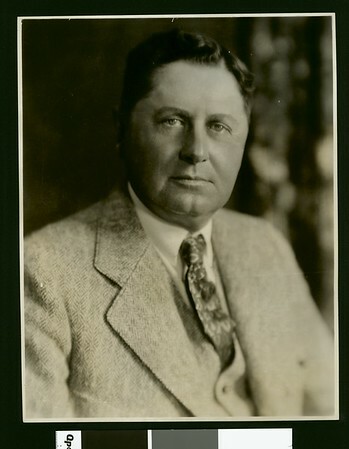 Photograph of William Wrigley, Jr. "The late W-m Wrigley, Jr. Sept. 30-1861 -- Jan. 26-1932" -- handwritten note on verso. "Melbourne spurr" -- stamped on verso. "Received. Examiner reference library. February 16, 1932" -- stamped on verso.